The location of your business is arguably the most critical factor for its success, yet some of us tend to rush into a leasing agreement without getting the information we need. This can be a costly mistake, but it’s easy to avoid if you’re aware of what to look out for. We’ve scoured our sources to find the 5 most common mistakes that businesses make when they commit to a property. Like most mistakes, they’re all basically a matter of failing to take time for the most significant considerations. When evaluating the property, don’t forget the nitty gritty, like the floor load capacity, telecom installations, and the HVAC system. Does it meet all safety codes? Is the building properly zoned for your purposes? Is it ADA compliant? It’s often a great move to hire an architect who can do this sort of evaluation for you. Go over the lease with a fine-toothed comb. Does the term length suit you? Is there any provision for subletting? How much notice is required of the owner if the building is sold or conditions change in some way? Keep in mind that negotiating for the lease that you want can easily take 3-6 months. It’s generally recommended that you team up with a professional who can represent you in this process. 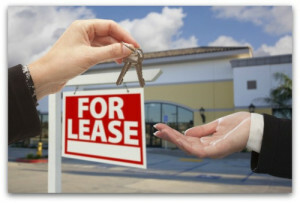 Often both an attorney and a broker can come in handy in negotiating the pitfalls of leasing. They can call your attention to hidden costs and other considerations that you might overlook. A tenant representative can negotiate on your behalf and also help narrow the field of properties that will meet your needs. It certainly does not make sense to rely on the property owner to guide you. Their purpose for leasing is to make money, pure and simple. They don’t see the situation from your angle, so no matter how honorable they may be, you’re on your own to make sure your way is clear. Professional help makes the process faster and less stressful. The message here is clear: don’t rush through the preparation and negotiation to get the lease you want for the property you want. Your company’s success for the next few years depends upon it.